Small spring used on late-model Bally and Williams games approx. 1989-up for drop targets, and as side-mount return spring on flipper assemblies approx. 1992-up. 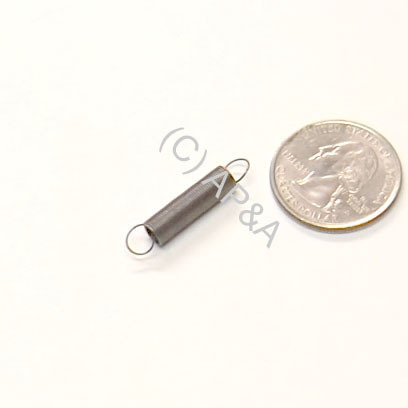 Measures 1-1/8 inch overall length, 3/16-inch diameter. Also works great as a replacement for original drop target springs on Allied Liesure and Fascination International brand games.